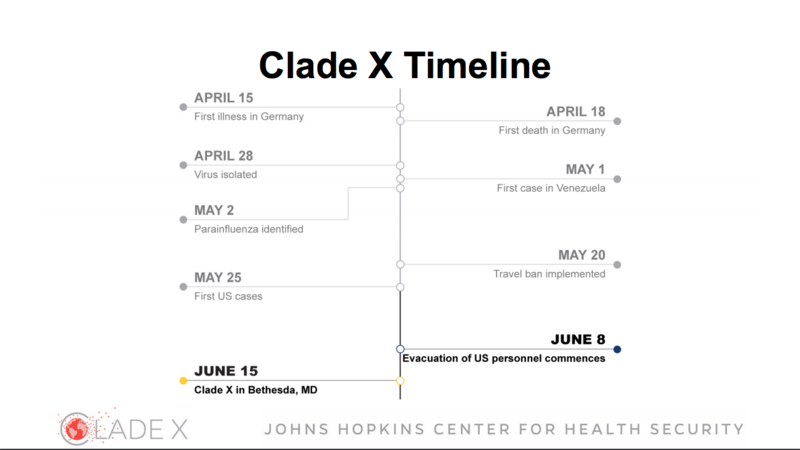 The Clade X simulation was conducted by the Johns Hopkins Center for Health Security in May 2018 as an exercise focused on high-level strategies, decisions, and policies that are needed to prevent a pandemic from spiraling out of control. Previous simulation exercises from the center include the “Dark Winter” simulation in 2001, which portrayed a fictional scenario of a smallpox attack on US citizens, and the “Atlantic Storm” simulation in which smallpox was used as a bioterror weapon. The 2018 fictional scenario is based upon “Clade X,” a novel virus with genetic elements of the Nipah virus that was genetically engineered as a weapon to diminish the population of the world. The simulation tasked a group of individuals­­­—the Executive Committee (EXCOMM), which represented members of the President’s National Security Council as well as members with expertise in pandemics—with making decisions on how to handle the outbreak of Clade X, which claims the lives of 20% of individuals it infects. As the virus traveled quickly from person-to-person first in Frankfurt, Germany, and Caracas, Venezuela, before making its way to the United States (see Clade X Timeline), the leaders on the security council had to shift from making decisions concerning foreign diplomacy such as travel, monitoring and quarantining of those exposed, to domestic policies as they attempt to determine how to contain the virus and how to navigate the complex public health relationship between the government and private hospitals. 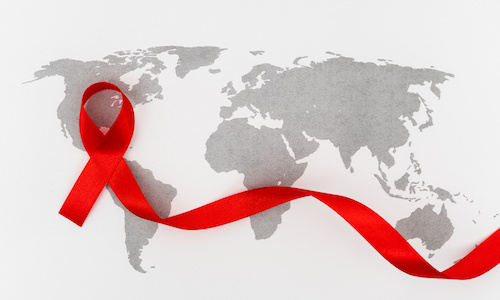 At the conclusion of the scenario, which was set at 20 weeks since the beginning of the first outbreaks, there was no virus; however, 150 million people were dead across the world, including 15 million US citizens. The outcome of the simulation produced a number of key policy recommendations, according to the investigators, including the ability to develop new vaccines and drugs for novel pathogens in a shorter amount of time, as well as a need for strong health systems, both global and national, that can manage the challenges of pandemic response. Additional recommendations for the nation’s leaders include developing a plan to utilize all health care assets in a pandemic situation, implementing an international strategy for addressing research on how to prevent future pandemics, and ensuring senior leaders are trained and educated on how to appropriately respond to infectious disease emergencies in the future.